For awhile I thought couples went into an orphanage and more or less selected a child off of a shelf. I used to play adoption agency with my friends. We'd line up all my dolls in pretty dresses, then one of us would be the adoptive parent and the other one would be the orphanage director. 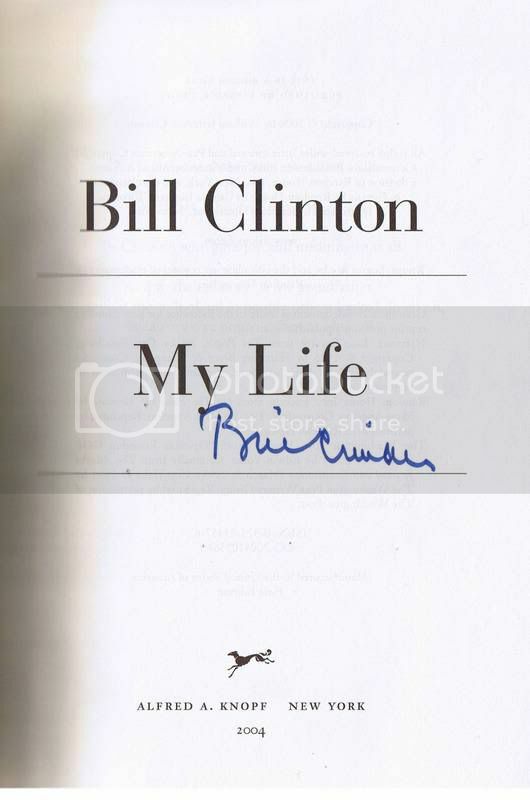 We even drew up little adoption contracts. Because I knew all the words to the songs in "Annie," I felt I knew quite a bit about adoption. Clearly. I thought adoptive children should be pitied for not having a real family and adoptive parents should be pitied for not having kids of their own. I was glad I wasn't adopted. Movies and novels aren't the best sources of information about adoption. A person's history from before they're adopted matters as much as their story after. Being adopted doesn't hit a reset button on their life. There is still quite a bit of work left to be done to make adoption (both international and domestic) a more just system. Adoptive families can be just as awesome as "regular" families. "How did you manage to get a white baby?" "You did it the right way--you got a kid and didn't have to be pregnant." "It's almost like you're his real mom!" "If you really cared, you would have adopted a foster kid or gotten an orphan from some poor country." Trying to act ethically inside a broken system. Getting past cultural models of family, which don't really have a place for more fluid family structures like ours. Things made a lot more sense when I realized that we were a "non-traditional" family, despite our outward appearance. Convincing people that open adoption isn't confusing, dangerous, or an act of charity. Not knowing what Puppy is going to think about all this when he is grown. He has picked up some of our mannerisms. I had prepared myself to raise a child who was completely different than us. But he is like us in some ways and like his first family in other ways--and uniquely himself in still more ways. He was white. I mean, we knew Puppy was going to be white, but we were expecting to adopt transracially. He is starting to notice more about family structure than I thought he would at this age. He makes parenting a lot more fun than I ever expected it to be. You don't have to be directly involved in adoption to care about adoption reform. If you care about reproductive rights, parental rights, family preservation, civil rights, poverty, racial inequality, or global inequity then you should care about adoption reform. You can confront the darker stuff in adoption (loss, regret, need for reform, etc.) and still be optimistic about adoption as a whole. Closed adoptions are a fairly recent invention in American history. Open adoption isn't some crazy new fringe idea. All of us--adopted people, first parents, adoptive parents--represent a wide variety of backgrounds and circumstances. The stereotypes about us, both positive and negative, are pretty useless. 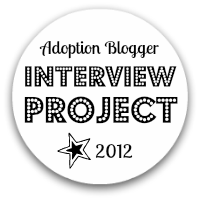 Do you have an adoption category/label on your blog? Consider yourself tagged! o.k. really silly - quesiton-- what does it mean to be tagged or is it a meme- that I have seen on other blogs? please excuse my blog ignorance!!! Are you HONESTLY trying to tell me that the adoption education that I got off the Lifetime movie network isn't good enough! HA, I know ALL about adoption because I've seen Nancy McKeon (and her eyebrows) adopt a baby only to have her "real" mother come back and steal it in like six different movies. Again (just like at OAS) I just want to stand by you and say, "yeah! What she said!" GIOMM, that a perfectly fine question. This is an example of a meme, just a little game passed around from blog to blog. Being tagged is like saying, "You're it. Your turn to do it." You should do this one over at your place! Thanks for the answer! think I will! Great answers! I'll have to work on this one but I don't think I can add much to what you said. Is it OK if I change the meme a bit? Just to be difficult LOL? This was just a superb post. Funny and deep all at once. I'm still struggling with how to confront the darker stuff and still be optimistic. Any tips or readings or anything you can share? If we continue down this path, I want to make sure we can do this as ethically as possible and have spent a lot of time thinking about that. But right now I'm consumed with the loss and regret. Cloudscome, change away! I think this originated as a changed version of a non-adoption meme in the first place. 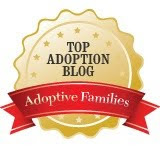 I really enjoyed reading your blog on adoption. 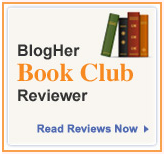 It was very enlightening and made me see that I had some of the same views. "Adoptive" family or "Real" family...it's still a family...i.e. adoptive families ARE real families! I know this post is almost four years old...but wow!! :) I am so going to do this as a blog myself later this week, when I have a moment to sit back and think about the answers. I was just thinking what Amy had written. Wow. What an awesome post and still very relevant to today despite the fact that it was written so long ago! I just came across your blog and linked to this article. Lady! I loved it! I wish I had time to read more right now, but I am eager to come back and read a lot more. As an adoptive mama with a transracial family I appreciate your words and relate to a lot of your answers. Thanks for being here! Thanks for saying "You can confront the darker stuff in adoption (loss, regret, need for reform, etc.) and still be optimistic about adoption as a whole." I feel like this is where I fit in (before I ever went to an info meeting at an agency I found ethicanet.org online) but I've had a hard time finding this in the blogosphere. I've found a lot of people blogging about the disgrace of unethical adoption, their pain related to adoption, and the sorry state of entitled adoptive parents. I've found a lot of people blogging about the upside of being adoptive parents and how much they love their kids (which is dismissed by the former group as so much rainbows and unicorns). I've seen very little that falls in between. I love what you have to say and I hope to hear more of it. Thanks.